A top Iranian politician says Tehran has left the path open for Saudi Arabia to change tack and rethink its policies on Tehran. 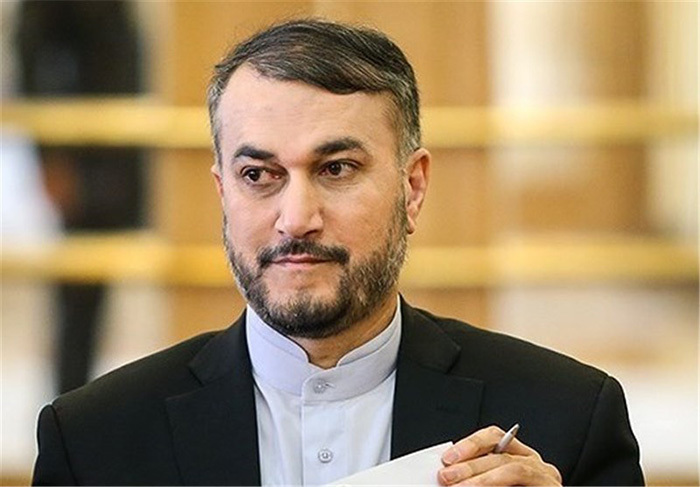 Hossein Amir Abdollahian, a special aide to the Iranian Parliament speaker on international affairs, says Tehran has adopted a positive approach vis-à-vis Arab countries, especially Saudi Arabia. Speaking in an interview with Lebanon’s Al Manar TV, which was covered in Farsi by Al Alam, he said Tehran has left the way open for Riyadh to reverse the course if it wants to. Iran and Turkey have differences of opinion on the issue of Syria, and the degree to which the two countries are divided depends on the extent to which Ankara wants to distance itself from terrorists. Palestinians have also made big gains while countering the Israeli regime. The first and foremost outcome of an international conference on the Palestinian Intifada recently held in Tehran was that all delegates agreed on the fact that the more the Tel Aviv regime is harnessed, the more secure the region will be. Regional countries together with Palestine should distance themselves from tribal and religious strife as well as terrorist wars. The Tehran conference had two messages for the Israeli regime: One was that resistance is the only way to secure the full liberation of Palestinian territories, and the other was that all Palestinian groups have contributed to resistance against Israel and secured great achievements. And as Leader of the Islamic Revolution Ayatollah Seyyed Ali Khamenei said, through resistance and unity among Palestinian groups, an entity called Israel (the Zionist regime) will be non-existent in 25 years. The so-called reconciliation talks will not help work out a political solution to the Palestine issue and determine the future of the country. The two-state solution will not help settle the Palestine issue. The solution to the crisis is through holding a plebiscite. Many of the costs, sanctions and pressures slapped on Iran are because of its support for Palestine and resistance against the Israeli regime. If Iran had dropped its backing for Palestine, the agreement over its nuclear program would have been implemented in a matter of minutes. How much support Iran lends to Palestinian groups depends on the extent to which Palestinian groups are standing up to Israel. Zionists use the language of threat, but do not dare confront the Islamic Republic of Iran and are facing serious problems and challenges. In the Israeli regime’s most recent aggression against Gaza at a time when the region was in a very critical situation, Tel Aviv thought Syria, Iran, Lebanon or any other country were able to rush to the aid of Gaza. But then, Israelis were forced to ask for a ceasefire. It was when resistance groups fired their first rocket into Tel Aviv. Tehran is tackling terrorism which is on both sides of the Israeli-Takfiri coin. Armed groups affiliated with the Al-Qaeda or ISIS have never been a threat to Israeli interests. Rather, al-Nusra Front terrorists signed a security cooperation pact with Israel on Syria’s Golan Heights. In their 2017 strategy, Zionists speak of cooperation with terrorists. ISIS has also announced it is not engaged in any conflicts with Israel. Iran continues to maintain a positive approach vis-à-vis Arab countries, especially Saudi Arabia. Speculations that Iranian-Arab relations have been soured are not true. Of course, problems exist in Iranian-Saudi ties, which is because of Riyadh’s unconstructive behaviour toward Iran and the region. Three days after a very positive diplomatic meeting between Iranian Foreign Minister Mohammad Javad Zarif and Prince Saud Al-Faisal, we heard inappropriate comments from Al-Faisal. He ruined many agreements simply with an interview. Saudi Foreign Minister Adel Al-Jubeir is not in the right position. He should have become minister of war. All his stances on the Yemeni conflict are similar to the ones adopted by a spokesman for war, not a foreign minister. Saudi authorities ought to either change their behaviour or change some of their officials, so that the region would feel Saudi Arabia is seeking a constructive approach vis-à-vis both Iran and other regional countries. Iran has left the path open at all stages for Saudi Arabia to revisit its policies. Saudi officials have cut off their relations with Iran, but Tehran has not definitely announced it has severed its ties with Riyadh. Around 9,000 pilgrims, nearly 500 of them Iranians, were crushed to death during the Hajj rituals. The only response by Saudi Arabia was that the incident happened because Saudi police lost control of the situation for a few moments. But in Iran, when emotions ran high among people over the Saudi execution of top cleric Sheikh Nimr, and the Iranian police could not control the crowd outside the Saudi embassy in Tehran for a short time, no Saudi diplomat was killed, wounded or even hurt. Today, Saudi Arabia is massacring Yemeni people, which has only led to further insecurity in the region and along Saudi borders. Riyadh is worried about security along its frontiers with Yemen, and guerrilla war by Yemeni nomads and tribes. Today, Bahrain is under Saudi military occupation. Al Khalifa rulers in Bahrain have no authority to make decisions in their country, and are controlled by Saudi Arabia. Incontrovertibly, Saudi intelligence services are operating in certain regional countries, including Iraq and Syria. Riyadh thinks it can ensure its security and interests by playing the terror card, a move which would jeopardise both the region and Saudi Arabia. Iran welcomes any constructive behaviour by Saudi Arabia and would like to see the country steer clear of war, aggression and support for terror. Astana and Geneva negotiations were a good start to help settle Syria’s political crisis. But the presence of terrorists in the talks in negotiators’ clothing will pose a threat to the negotiations. We should keep terrorists away from the negotiating table because they believe in a terroristic solution. Maybe it would be too early to say Russia will remain on board with Iran on the Syria issue to the end. But we regard Moscow’s current behaviours toward Syria as constructive, and consider decisions made by Russian President Vladimir Putin as good ones. Unlike Obama and Trump’s overt and covert relations with terrorists, we do not see any connections between Russians and terrorists. So, we should laud the Kremlin for its key role.